We are fortunate, or blessed rather, to have a number of companies that provide us with some great stuff. These are the folks that make the stuff that accompanies me during my time on the water with all guided trips, lessons, schools, etc. I use the products and recommend them to my clients. As a guide I have access to a lot of stuff and could use any brands I wish. These are the ones I choose….mainly because I believe the product to be the best available. I am involved with product feedback, testing, etc., and get the opportunity to try out a lot of stuff. In some cases, I refer people to outfitters/shops to buy gear and other items, there are a number of those here. They support us in many ways by referrals and we likewise do the same and direct customers/clients their way. SIMMS FISHING PRODUCTS – Waders, Wading Boots, Great Accessories, Windstopper Outerwear, GoreTex Outerwear, Casting Shirts, Sportswear, Layering Pieces/Fleece…..you name it its the best stuff I have ever worn. I just retired a pair of boots that had almost 1000 fishing days on them. That’s probably between 8,000 and 9000 hrs of wear/use. Based in Bozeman, MT, SIMMS has earned the distinction of being the “Choice of Professional Guides Worldwide”. Why? Because they make gear you can count on. For me, my SIMMS gear is my work clothes. Whether in hot weather of summer or the frigid days of winter, I can count on the performance of my SIMMS gear. Many thanks to KC Walsh and the folks at the SIMMS Guide Desk….they keep me in great stuff, no down time, and service second to none. Thanks ! I am a satisfied member of the SIMMS Pro Guide Staff program. Yes, you pay a little extra, but why buy 2, 3, or 4 pair of something else when you can buy SIMMS and be done with it? Check out the great SIMMS line here . SAGE FLY RODS – My of choice in a high end rod, I simply love SAGE Fly Rods. I have fished these rods since the late 1980s and love them. From the fast action models to the Classic action of the old LL Series (my personal favorite) and the ZXL and Sage ONE (my current favorites) there isn’t a bad rod in the bunch. From Jerry Siem (designer), and owner Bruce Kirschner, and our local rep and friend Raz Reid the Sage product line and the service they provide is second to none. Thanks guys for providing us with truly state of the art precision fishing tools. Check out the wonderful SAGE product line here . ROYAL WULFF PRODUCTS – One of my all time favorite fly lines, the Triangle Taper. I believe its one of the truly innovative products of our time. A great compliment to the SAGE rods I like so much, particularly the fuller flexing rods like the LL, ZXL….. Thanks to Doug Cummings and all the folks at Wulff for some truly great stuff. In addition to freshwater lines, Wulff makes some of the most popular and innovative saltwater lines as well that have gained a huge following in recent years. Check them out here . Four Seasons Fly Fishing -owned and operated by friend and fellow guide Gene Giza. Gene has not only been doing his craft for many, many years but he’s doing it on some of America’s most storied waters. Not only is Gene a great fisherman and guide but he’s just a great guy to spend a day on the water with. Gene has been providing anglers with quality guided fly fishing trips on the Yellow Breeches Creek near scenic Boiling Springs, Pennsylvania, as well as other select limestone and freestone streams across the Commonwealth of Pennsylvania.Other streams include: Bald Eagle Creek, Black Moshannon Creek, Little Juniata, Clarks Creek, Oil Creek, Penns Creek, Pine Creek, and Spring Creek. I had the opportunity to guide Gene and his good friend and fellow guide Ken Okorn on TN’s South Holston. I think I learned more than they did. Gene was deadly as a blue heron on rising fish…. If you head to PA, look Gene up…you will be glad you did. 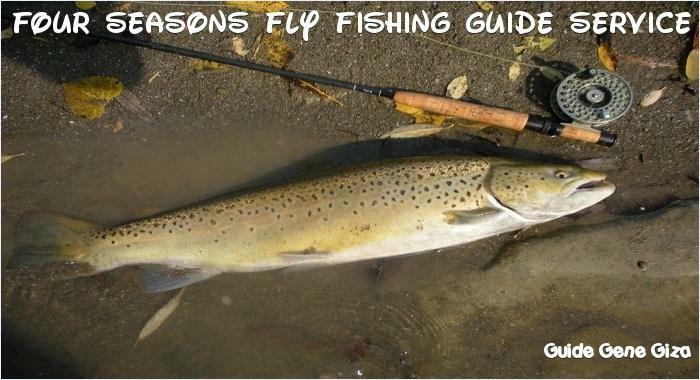 Fourseasons Fly Fishing Website Carlisle, PA 17013 717-713-8282 . HARELINE DUBBIN FLY TYING MATERIALS – Arguably the best fly tying material supplier on the planet, with materials and tools and supplies for all types of fly tying from tiny midges to billfish patterns. Be it hooks, beads, feathers, hackle, fur, synthetics, adhesives, vises, tools, fly boxes, you name it they have it all. Many thanks to Bob Borden, Darren Hyde, and Marcos Vergara for keeping me supplied with material for all the patterns I tie and sell and use on our guided trips. Great service and when I need something they are but a quick call or email away. Thanks guys! If you buy fly tying materials online or from a fly shop you have purchased and used Hareline products. You can check out their full range of stuff here . FLYMEN FISHING COMPANY – A great fly tying materials supplier started by Martin Bawden, located right here in Appalachia, in Brevard, NC. A great company with some great stuff , the “Next Generation ” of fly tying materials, flies, and more. From the Fish Skull heads we love for our streamers, to the shanks we use on some of our patterns (also used in musky flies and the Chocklett Game Changer flies), to “Nymphhead Evolution” of the tungsten bug shaped nymph heads for nymphs, to Fish Masks, Living Eyes, Frantic tails and more we absolutely love this stuff and use it in a lot of our patterns. I am a FlyMen Fishing Company Guide Program member and an ambassador for FlyMen products and gladly promote the Next Generation philosophy, participate in new product field testing, and more. Check out this great stuff here . STONE CREEK LTD. – A great fly fishing product and accessory company nestled right in the heart of the Colorado Rockies in Greeley, CO. I have known and dealt with Pam and Rocky Bloskas for two decades and they make and supply great stuff and have incredible service to go with it. A lot of our clients/customers wonder where we get our custom fly fishing products, well, this is the place. They supply many fly shops across the country as well as many large catalog companies. All of our JWFF Logo items come from Stone Creek, including fly boxes, tools, tippet and leader material, strike indicators, shot, custom trout print tools (nippers, forceps, etc.). Check them out online here . Great Outdoor Provision Company – one of our local shops, carrying a wide variety of outdoor products including camping, hiking, kayaking, fly fishing gear. Local experts on outdoor stuff pretty much, these folks are our pick against the big box guys like REI and others. Shop local, support local. REI isn’t local. But in any case, visit store manager Rob Arends and his friendly and helpful staff of wonderful folks. They are located in Friendly Shopping Center in nearby Greensboro, NC, click here to visit them online. They also have a Winston-Salem, NC location, see Jason Allred there as he is the fly fishing specialist in the shop…click here to visit the Winston-Salem, NC store. 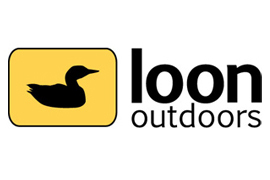 LOON Outdoor Products…Every angler puts a lot of thought into what he or she brings to the water. We believe it is equally important to think about what is left there. That is what fishing with a conscience is all about; ascribing value to the health of the water we fish. We develop our products with these values in mind and make sure they are safe for fish, fisheries, and fishermen, without ever compromising quality or performance. By offering reusable and biodegradable weights and indicators we make sure lost tackle doesn’t harm wildlife. Our floatants, sinkets and cleaners are solvent-free and consist of water-soluble components that perform without polluting the water. And our tying paints, cements and wax are non-toxic and odorless, to keep tying benches free from harmful fumes. We will continue to develop products that help anglers protect the water they love while they are doing what they love. Click here to visit the Loon site and to check out all their great stuff. REDINGTON FLY RODS & PRODUCTS – We are huge fans of the Redington product line. Redington was purchased by SAGE a few years ago and much of the quality and quality control has trickled down to Redington. Redington offers great rods, reels, lines, waders, boots, and accessories for the budget minded angler. Their entry level outfits are among the best on the market, and I often refer clients who take my beginning fly fishing course or take a beginner lesson to Redington. Simply great stuff. You can check out Redington online here . GoPRO CAMERAS – Dream it, do it, and capture it with A GoPro. With features like Emmy® Award-winning performance, built-in Wi-Fi, waterproof durability and more, GoPro puts the power to capture, create and share in the hands of everyone. I do a ton of photography and video on the water with my trips and the versatility of the GoPro camera and accessories continue to amaze me. Whether its a trophy fish, shooting some clips to tell a story about a place/destination, they are nothing short of fantastic. Equally as good below water as above. Simply don’t know what I’d do without one. Thanks to Casey York and all the folks at GoPro for adding an immeasurable versatility and value to what I can do with a camera. Check out the GoPro Line online here . ROSS FLY REELS – Simply put some of the finest reels to ever be attached to a fly rod. Lots of great models and price points as well, as Ross has a midline, premium line, and a budget line called ROSS Worldwide. Great quality, and known for putting out some of the truly classic fly reels that are considered some of the best ever made at any price. The classic Gunnison and Cimmarron Reels set the standard decades ago, long before the current high tech reels of today. Thanks to the folks at ROSS, first and foremost Brad Befus whom I have dealt with for years through the several fly shops I have worked for. Ross celebrates 40 yrs this year….1973 to 2013…. so they’ve been doing this for a while…! You can check them out here . YETI COOLERS –YETI Coolers are built to take the rugged abuse that comes with work and play. Unlike ordinary coolers, which are essentially disposable, YETI Coolers are made to last! Broken handles, busted hinges, failed latches, caved-in lids, cracked corners… sound familiar? If you’re like most, you’ve experienced all of these with the coolers you’ve owned. Even the most expensive ordinary coolers can’t take the punishment dished out by the average outdoorsman, let alone the pros. That’s why we make YETI Coolers. These are simply the best coolers money can buy. Check out the YETI line by Roy and Ryan Seiders here . CLACKACRAFT DRIFTBOATS – For over 30 years, ClackaCraft has been producing drift boats for Professional Fishing Guides and Anglers alike. Engineered to last a lifetime, these fiberglass drift boats are skillfully built by true craftsmen from state of the art materials and ever-evolving technology. From our fishermen friendly interiors to the revolutionary GulfStream Bottom, be assured that upon purchasing a new or used ClackaCraft you will be rowing the best rowing and most comfortable drift boat. While I have rowed all brands of boats, I prefer Clackacraft. I have rowed all their models from Eddy’s to LPs to skiffs. For years I guided out of a LP and loved it. My current boat is a 2018 Headhunter II skiff which the guys at Clacka custom designed and outfitted to my specs. It is a dream to row and fish out of, and the stealthiest drift boat on the river. It floats in barely over an inch of water, drafting very little water rather, making it possible to get in skinny areas other boats cannot go. Bruce Belles, Matt Kelley, and Nic, Travis and all the guys thanks for the great product and service and taking such great care of us….. Check them out here . Sawyer offers a full line of modern and traditional products for oarsmen, canoeists, kayakers, surfers and paddlers of all genres, delivered into your hands to provide unsurpassed function, performance and beauty. We design and handcraft every product in Talent, Oregon USA, ensuring everything we make is from the highest quality materials with careful attention to detail. We take pride in our employees, stewardship of the environment and our country. In return, you have the assurance of knowing the product you receive from us is genuine, made in America and cannot be replicated. Sawyer products are designed by paddlers, oarsmen and surfers alike to fully meet your performance needs. Pick one up today and experience “The Feel of Water!”. I have rowed with Sawyers for some time, and have used everything from Polecats to Dynalites to Squaretops. My current favorite is the Squaretops in Mtn Driftboat edition with Shoal Cut blades…..these are the oars I used everyday. I love them. Check Sawyer out here . BUFF ORIGINAL HEADWEAR – The original multi-functional headwear that started the seamless headwear revolution. First developed in 1992 by founder and creator Joan Rojas. Performance head and neckwear designed to morph into a multitude of different garments in seconds, allowing its wearer to change their headwear on the fly. I like the BUFF line for UV protection from sun and also for blocking the wind on chilly fall or winter days. The brown trout skin BUFF is my personal favorite, and on a guided trip chances are good you will see me sporting one. I love them, thanks to Guide/Pro Program administrator Bill Ross for keeping me comfortable with a supply of them. Check them out here . RENZETTI FLY TYING VISES AND TOOLS – Renzetti Inc., is a family owned business that started its operations in Romansville PA in the early 70’s. Renzetti’s primary business is the manufacturing of the finest fly tying and rod building equipment in the world, but they also provide engineering and manufacturing services to many other industries around the country. Renzetti, Inc. owns many patents and trademark and was the first fly tying vise manufacturer to offer a True Rotary Vise. I have used Renzetti vises and tools for going on 30 years and find them to be the best I have ever used. The small heads on the vises are perfect for smaller trout patterns and offer great working room. Andy and Lily Renzetti are also some of the best folks to deal with on the planet, and have kept me going with all the best stuff….. Truly great stuff, Check them out here . Hoback Peak Outfitters – a family owned business that prides itself on making your trip to Wyoming an enjoyable one. If you’re looking to hunt Elk, Mule Deer, Moose, Big Horn Sheep, Black Bear or Mountain Lion Hoback Peak is a great choice. Also, Hoback Peak specializes in summer pack trips for cutthroat and golden trout, brook trout, and grayling . Operated by Max Marr of Alpine , WY. I have done guided trips to the backcountry of Wyoming for many years now and we can put you on them. See some incredible scenery, not from a car or plane but from the back of a horse in the wilds of the Wyoming backcountry, eat some fantastic food, and enjoy some great fellowship riding, fishing, and by the campfire at the end of each day. You can check out Hoback’s website here . We do trips with Hoback Peak under outfitter license #BG336. 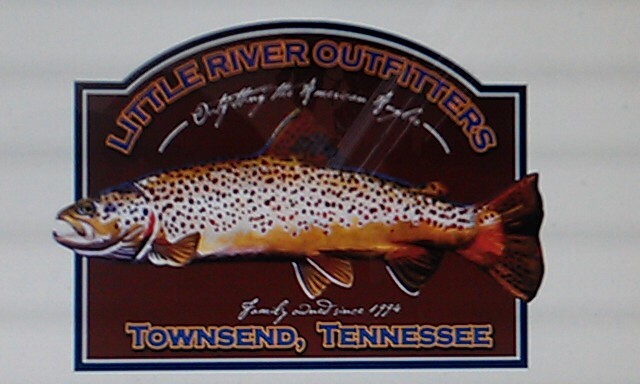 Little River Outfitters – Townsend , TN -Little River Outfitters has been serving fly fishing anglers who visit the Great Smoky Mountains, East Tennessee and Western North Carolina since 1994. We are also the “home fly shop” to thousands of fishermen who live in the area. East Tennessee and Western North Carolina are blessed with several thousand miles of rivers and streams and hundreds of thousands of acres of public land set aside as National Forests and a National Park. This region is a fly fishing paradise. There are over 800 miles of fishable trout streams in Great Smoky Mountains National Park alone. The Park, 500,000 acres in total, lies in both Tennessee and North Carolina. A fishing license from either State is all you need to be a legal angler in the Park. Here you will find mountain streams with populations of rainbow trout, brook trout and brown trout. Just outside the Park in the rivers exiting the Smokies you will also experience excellent smallmouth bass fishing. The shop is run by fellow angler and friend of many years Byron Begley and his wife Paula and their shop cat ‘Dubbing’. Great place, probably the finest fly shop in the East. You can check out their shop website here . 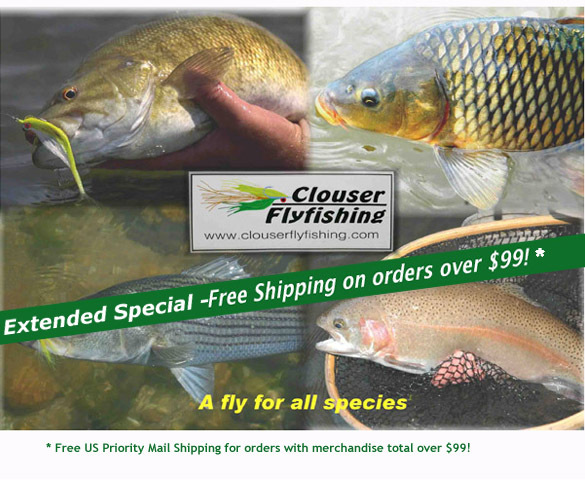 Bob Clouser Fly Fishing – Bob’s full service, fresh and saltwater, family-run fly shop is located in Middletown, PA near the blue ribbon bass fishing section of the Susquehanna River. Bob, his wife Joan, along with his son Bob Jr. The Clouser Minnow fly pattern, of which Bob is the originator, is known world-wide and has caught more varieties of fish than any other fly. Several years ago when I worked for a fly shop I had the opportunity to host several fly fishing schools with Bob and got to know him as well as spend some one on one time with him. Sincerely he is one of the nicest people I have ever met, and truly cares about people. He kind of took me under his wing and treated me like a son…always an encouragement to younger guys like me trying to make a name for myself in the industry. Bob also has been Fly Rod & Reel’s Angler of the Year….a prestigious honor given to noted anglers in the industry. No one more deserving than him. You can check out his website here . LL BEAN FLY FISHING SCHOOL PROGRAM – Owe a huge debt of gratitude to Macauley Lord, head instructor for many years for the LL Bean Fly Fishing Schools. I got involved with the FFF and the Casting Instructor Certification Program, and Macauley was the person I trained under and was tested by in order to receive my FFF Fly Casting Instructor Certification. Macauley was and is an phenomenal teacher, and had a huge impact in my ability to take and pass the test, which is an extensive written exam, a flycasting skills evaluation test, and an instructor’s test. An incredible fly caster and fly fisherman, Macauley is an FFF Certified Master Casting Instructor and also a BOG (FFF Board of Governors) member and he has great impact on the programs currently offered by the FFF. When you say “he wrote the book”, we he did… the “LL Bean Fly Casting Handbook”. You can check out more about LL Bean here and Macauley Lord here . 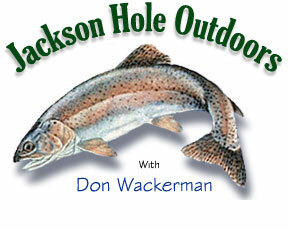 Jackson Hole Outdoors – Don Wackerman – Originally introduced to Don years ago by a guide friend of mine Marshall Coble, Don has since taught me alot about the habits of cutthroat as a species. Can truly say I learned from one of Jackson Hole’s best, as Don surely is that. An ex-Navy Seal, Don is a 40 year plus veteran when it comes to guiding fly anglers and hunters in the Teton area. I have spent many days with him, both on his beloved Snake River, the Green River, and in the backcountry too ….sometimes chasing wild cutthroats and other times going after the elusive golden trout in several of Wyoming’s high mountain lakes…from the Teton Range, to the Buffalo and Turpin Meadows areas, to the remote Wind River Range and Wilderness…home of the highest peak in Wyoming, Gannett Peak, which is just under 14000 feet. Check out Don’s website here . 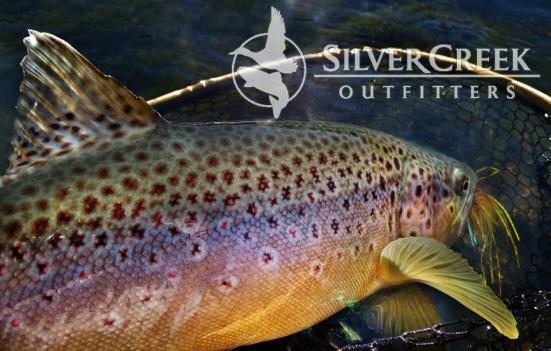 Silver Creek Outfitters – Whether you are visiting and want to fish with the best guides in the area, or simply need advice on the latest hatch or a new rod, Silver Creek Outfitters takes care of all of your needs. Additionally, the fly shop supports a travel department that specializes in booking excursions to the best fishing locations on the planet. Owned and operated by friend and expert fly angler and fly tyer and upland bird hunter Terry Ring. One of the nicest fly shops you will ever walk into. Check them out here . Spent many days fishing to some of the most difficult and challenging rising trout on planet earth on world famous PhD water of Silver Creek. From the incredible early morning tricos, to the afternoon PMDs to rising fish at dark…..these might well be the most challenging flat water trout in America. If your travels find yourself in SunValley, ID, or Ketchum, ID, stop in and see Terry and his staff…. and check them out…..and tell ’em we sent you. Missouri River Trout Shop – The Trout Shop’s retail outlet in Craig, Montana, is a candy store for fly fishermen. Given our remote location, it’s hard to believe that we have nearly every gadget out there. You don’t have to be in Craig to be rewarded by our huge selection. Everything, well most everything, we have in Craig is also found in our on-line store. Have spent many a day here fishing rising fish, early morning fishing trico spinner falls, afternoons fishing the crazy ,insane caddis and PMD hatches, and evenings til dusk chasing the mating flights of caddis….the best dry fly fishery in America. Our favorite western river, the fly shop is in Craig and is owned and operated by our friends Chris Goodman and Jerry Lappier, these guys have done a great job for years and have given us great service on my personal trips and client trips. You can check out their phenomenal shop here , and tell ’em we told you to stop in! 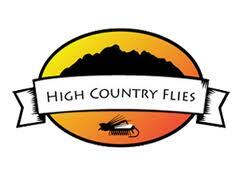 High Country Flies – Like our home away from home in terms of fly shops, this is both first , middle, and last stop on our trips to Jackson Hole, WY, for supplies, any last minute flies or other items, you name it. A great full service fly shop right on the square in Jackson Hole, WY. Bruce Smithhammer, Ken Smith, and owners Howard Cole and James Jones run a great shop here, if you are ever in the area be sure to stop in for a visit. Howard is a great fly designer and James is the originator of one of our favorite streamer patterns of all time , the “JJ Special”….the JJ stands for James initials. It is a deadly fly originally designed for the Jackson Hole One Fly contest and eventually I brought some back East and we started using them on smallmouth, trout, and pond fishing for bass and panfish. You can check them out online here . Trouthunter on the Henry’s Fork – Located on the world famous Henry’s Fork of the Snake, home of some of the most selective trout on planet earth…fish whose selectivity is legendary. TroutHunter is located in Last Chance, Idaho. Last Chance is the business center of Island Park, a small community encircled by a caldera rim that abuts the western boundary of Yellowstone National Park. Trouthunter is a complete fly fishing outfitter, offering a variety of tackle and gear and flies that are unsurpassed for matching hatches of the demanding waters that lie just outside the door. Owned and operated by Rene and Bonnie Harrop, and Rene is one of the best known tiers of selective trout patterns that have ever lived. Few tiers have had the influence that the Harrops have had when it comes to flies for selective trout. A great shop, just a fun place to be, guides Brad Miller, John McDaniel, Pat Gaffney, and Travis Rydberg are some of the best in the business…and if you are in the area be sure and stop in and tell them we sent you. 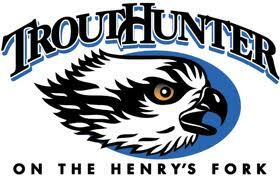 You can check out the awesome Trouthunter website here . 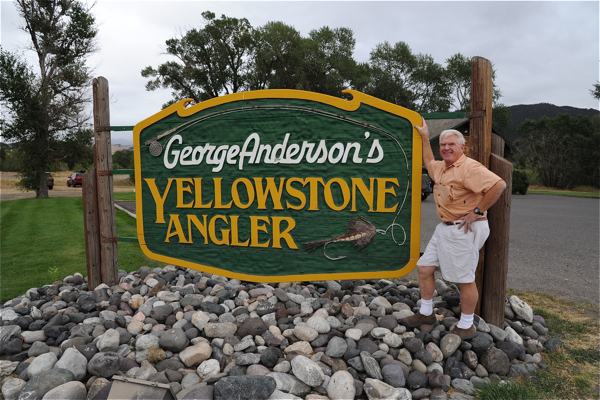 George Anderson’s Yellowstone Angler – For more than 25 years, George Anderson’s Yellowstone Angler has provided thousands of fly fishermen the gear and advice they need to be better anglers. The shop is near the best rivers in Montana including the Yellowstone River, Madison River, Yellowstone Park, Missouri River, Bighorn River, Armstrong’s Spring Creek, DePuy’s Spring Creek, Nelson’s Spring Creek, Boulder River, and many more Montana Rivers & Lakes . An extensive selection of gear, flies, tying materials, plus a very helpful shop and guide staff including George himself, his son Jamie Anderson, and Josh Edwards. If you are from our area, ask for Josh, he is extremely knowledgeable and can put you on some out of the way spots that have great fishing…and he is from our area and graduated from Appalachian State with a degree in Advertising. Check them out here . RUSUPERFLY – the fly fishing /tying website of Pat Cohen , one of the modern gurus of fly tying who creates some of the awesomest (is that a word? we think so) flies currently being tied…incredible. Here’s a good intro from Pat’s site: My name is Pat Cohen. I live in upstate New York where there is an abundance of warm water streams, lakes, and farm ponds to fish; although most anything with gills is fair game. I was always a terrible fisherman with spin and casting gear, but I began fly fishing in 2008 and since then I have caught more fish than I can count. I have been tying flies since January of 2009. Fly fishing and tying have become an essential part of my life. I specialize in deer hair bass bugs, but I tie everything from streamers to nymphs. The artistic freedom that fly tying offers is what drew me to it. All of my flies are meant to be fished with the exception of the display offerings. Every piece of each bug – be it the hair, feathers, or weed guards – has a purpose. The final product is a fish catching fly and a miniature sculpture all in one. To my way of thinking, there is nothing like watching a five pound bucketmouth or an 18 inch smallie erupting from the water to crush one of my bugs as it’s drawn across the surface. I have a deeply ingrained passion for chasing golden bones; carp on the fly is a challenge that more and more fly anglers are only beginning to appreciate. Carp are by far one of the most difficult fresh water species to hook with a fly, and I’ve created a wide variety of nymph patterns to target these misunderstood and often maligned game fish. You can check out Pat’s site here and his blog here . Simply amazing flies you gots to see em. FISHPOND – I use a lot of Fishpond stuff in what I do. I love the packs, bags, cases, you name it. Well made, loaded with features, stylish, just cool stuff. The Guide Pack is the one I use/guide out of and couldn’t function well without it. It is the best pack I have found to use with a variety of stuff. Check them out here .